90% Xiaomi Mi Note 2 review: The Note 7 lookalike that’s hot for a very different reason - and coming soon in pink? Once you get to know the device inside and out, you’ll soon realize that the Xiaomi Mi Note 2 offers an experience that is quite compelling in both hardware and software, and instead of just being a clone, is instead a worthy alternative to the Galaxy Note 7. If we were getting this device for the price it goes for in China, converted directly to USD, it’d be a real deal. As it stands, we still need to go through 3rd-party retailers to get the device. I mean the standard 128GB version in China, which can be found for around RMB 3299 which is around $480 USD, compared to the version we have. We have the version called Mi Note 2 Global. The Xiaomi Mi Note 2 is not a Samsung Note 7 rip-off, but even if it was, the Note 7 is dead anyway. The Note 2 is not original either. It’s not a cheap phone, but it’s still somewhat cheaper than similar devices from mainstream brands. It’s might not be as big as you’d expect from a 5.7-inch beast, yet it doesn’t exactly have a small footprint (Samsung still beats it on account of its smaller bezels, made possibly by the curvier AMOLED display). That’s sort of our problem with the Mi Note 2. It feels like it was designed by a committee. We approached the Xiaomi Mi Note 2 review with high expectations. The vacant spot left by Samsung's phablet this fall season was prime for the taking and we really wanted to see the Mi Note 2 as a product that's as at least as much disruptive as its pedigree suggests. Is the Mi Note 2 going to win acclaim this year? Probably not. The unveiling of the Mi Mix all but guaranteed that it’ll be taking a backseat. But priced at just $413 ($2800 rmb) and $488 (3300 rmb), this is — like most Xiaomi phones — one of the best value smartphone on the market. You’re getting a Snapdragon 821 device, with 4/6GB of RAM and a great build for half the price of the Google Pixel. The original Mi Note was well-spec’ed and launched with a lot of fanfare, but for whatever reason - maybe it’s the price, maybe it’s just the wrong timing - it didn’t help Xiaomi crack the premium smartphone segment. As Samsung stumbles, there’s now a sliver of opening here, a great chance that I’m sure the Chinese and Taiwanese companies would not let slip. 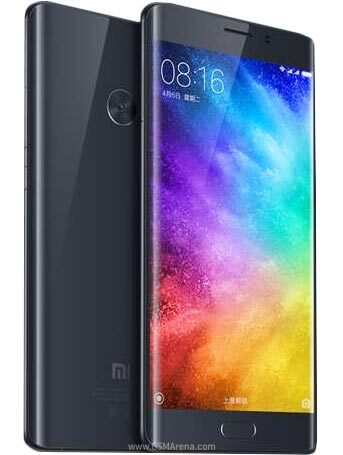 The Xiaomi Mi Note 2, packed with all the technical and practical wizardry CEO Lei Jun and his team could muster, couldn’t have arrived at a better time. Well, at least for the good folks in China. Xiaomi Mi Note 2 Unboxing & Preview – Xiaomi’S Most Elegant Phone! Concerning the packaging, we witness the new trend with the box. Instead of mimicking Apple’s iPhone box, Xiaomi came up with their idea which seems to be perfection. Xiaomi has decided to walk with simplicity and elegance as the package appears to be plain white with an engraved Mi Logo at the center. 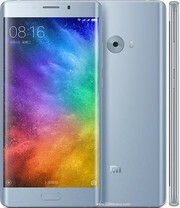 We observe no diagram of Xiaomi Mi Note 2 at all. While there's a version of the Mi Note 2 that will have LTE support for the US and lots of other countries, the bad news is that the phone will be China-only, and Xiaomi has no plans to sell this elsewhere, even in places like Singapore or Hong Kong. It's a surprising move, but perhaps Xiaomi is looking inwards to its homeground as it aims to regain market share, having slipped to fourth position as rivals Oppo and Vivo have surged ahead. Positive: Impressive display; beautiful design. Positive: Decent hardware; nice design; good built quality; long battery life; good speakers; flexible fingerprint sensor. Negative: Relatively high price; slippery; poor cameras. Positive: Impressive design; long battery life; good price; decent hardware. Positive: Dual sim; metal case; impressive design; excellent display; powerful hardware; long battery life. Positive: Metal case; nice design; decent display; good hardware; high autonomy. Positive: Nice design; good materials; high performance; flexible fingerprint sensor. Negative: Lack of band B20. Positive: Support fast charge; decent cameras; nice display; flexible fingerprint sensor; solid workmanship. Negative: No extended memory. Positive: Reliable GPS. Negative: Relatively high price. Positive: Good price; decent cameras; flexible fingerprint sensor; long battery life; support fast charge. Positive: Stylish design; slim size; high autonomy; quick charge; high gaming performance; decent cameras; excellent speakers. Negative: No memory card slot. 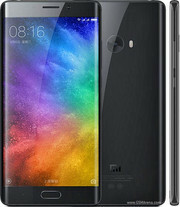 Positive: High performance; excellent display; fast fingerprint reader; nice design; solid workmanship. 84.95%: This rating should be considered to be average. This is because the proportion of notebooks which have a higher rating is approximately equal to the proportion which have a lower rating.